Swan Valley. It sounds like the name of a place a princess might live, right? Or at least an heiress. Well, this beautiful wine district (just outside of Perth, mind you!) is pretty much on par with the picturesque landscape of a fictional fairy tale realm – except there’s wine. The Swan Valley boasts some of Australia’s best wineries, and is home to Western Australian icon Houghton Wines (which is worth a visit alone, if you ask us). It’s Australia’s oldest wine region, so yeah, the wine here is pretty epic. We’ve teamed up with Houghton Wines to bring you this guide because they know the Swan Valley better than the back of their hands, so their recommendations are almost as good as ours. So treat yourself to some local drops while you spend the ultimate 48 hours in the stunning Swan Valley. Go on, share this with the girls and start planning the perfect getaway. Swan Valley is only 25 minutes from Perth, and 10 minutes from the airport #winning. So, you can start your Swan Valley adventure nice and early. Start your day with a delicious breakfast at the iconic Swan Valley Café. Then, once you’re full on delicious local produce, head over to the heritage Swan Valley Cycle Trail, which just so happens to stop by the Margaret River Chocolate Company (yes please). After your lunch, check in to an epic Airbnb for the ultimate home-away-from-home experience AKA slip into your food coma. Enjoy the beautiful scenery that Swan Valley has to offer and go for a leisurely afternoon stroll around the expanding green landscape. If you’re looking for inspo, here’s our pick. Oh, and this one. Or this one. Choices, choices, choices. As your first day in paradise comes to an end, Swan Valley Wagon Tours will take you around the valley in a horse-drawn carriage (just think of the photo ops). So, why not be extra and watch the sun set over the rolling green hills while you cosy up in the back of a vintage style carriage pulled by two beautiful horses. It’s just like your own #Bachie episode. Time for dinner! If you’re looking for a romantic dinner location after your horse and carriage ride (you’ve got to keep the fairy tale vibes going), then look no further than The Old Fig Tree Restaurant. With an alfresco seating plan covered in a thick canopy of fairy lights, this is the perfect place for dinner with someone special. Settle in for the night before heading home and reacquainting yourself with a glass of Houghton White Classic. Heaven. Nothing can coax you out of bed quite like fresh coffee and a hearty breakfast. If you’re after some classic and delicious breakfast food, then head over to local favourite, the Guildford Milk Bar. With an impressive roster of all-day breakfasts and a drool-worthy cabinet of baked goods, this place has something for everyone. Grab a delicious breaky and then get some baked treats for later. We won’t judge. Head over to Whiteman Park, a unique conservation and recreation reserve where there are endless things to do. Check out the local village shops for some unique handmade trinkets, or head to the Woodland reserve, a world-class conservation program for Western Australia’s endangered wildlife. Find a shady spot overlooking Whiteman Park’s beautiful lush scenery and tuck into your baked treats from Guildford Milk Bar while you soak up the stunning views. If this isn’t enough to fill you up, check out Whiteman Park’s Village Café for some traditional lunch classics. Or, if you want to know what we’d do? 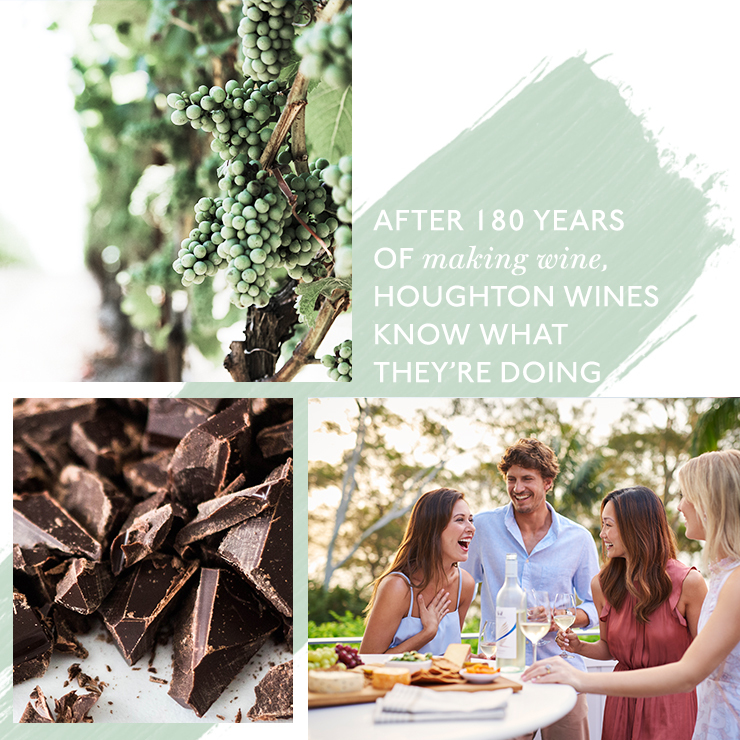 Settle back with a glass of Houghton White Classic from the bottle you picked up at their cellar door. Hey, when in Swan Valley right?! 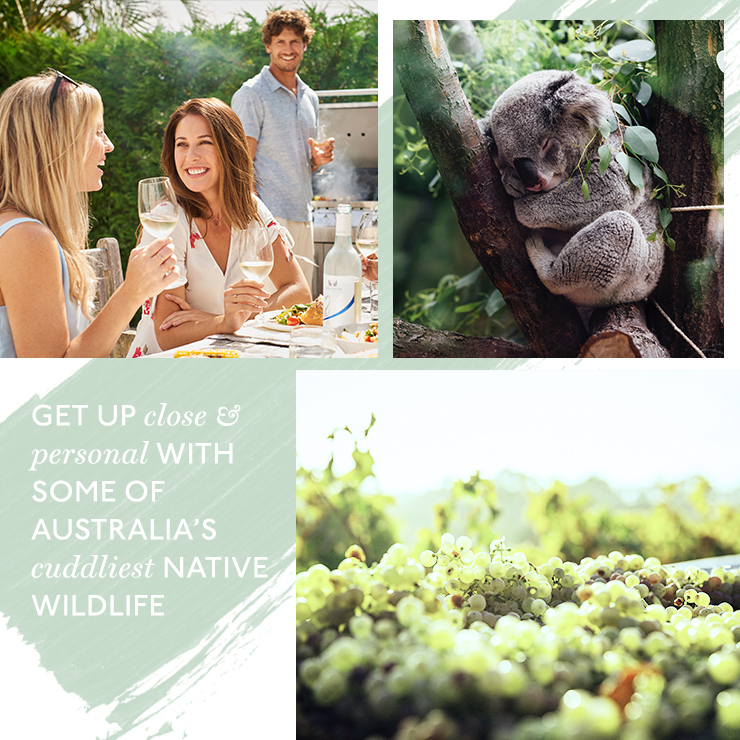 Spend the afternoon strolling through the Caversham Wildlife Park and get up close and personal with some of Australia’s cuddliest native wildlife. Feed kangaroos, hold a koala and observe possums, Tasmanian devils, wombats and wallabies in their natural habitats. Instagram story the whole thing, obviously. Pack a picnic blanket and head to the Bells Rapids lookout to watch the sun set over the water. Soak up the beautiful views and reminisce on your amazing 48 hours in the Swan Valley! You already know what we’re going to say here—bring a bottle of wine for the perfect end to your mini vacay. Phew, feeling like you need to get to Swan Valley, like, right now?! Don’t worry—you can cheat those #Vacay feels with a bottle of Houghton White Classic right here. Otherwise, what are you waiting for?! Get planning! Editor’s note: this article was produced in partnership with Houghton Wines. Thank you for supporting the partners who make The Urban List possible. To read our editorial policy, click here.